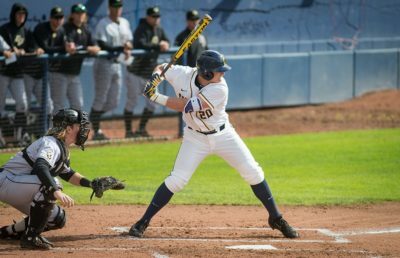 After a dominating sweep last weekend, the Cal men’s baseball team returned to action in the Frisco College Baseball Classic. Despite a strong first game in which Cal dominated Baylor, the Bears would go on to lose their next two games against Louisiana Tech and No. 10 Texas A&M. 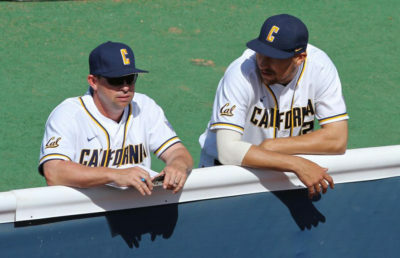 One of the clear takeaways from the tournament is that Cal has an extremely potent offense that has only failed once this season to score five runs. While the offense may be clicking right now, pitching is an area of focus that the Bears need to tighten up. 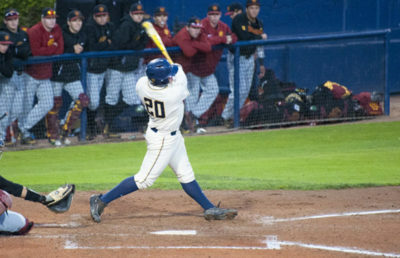 Although the tournament may not have gone exactly as Cal wanted, junior Jonah Davis justified the Pac-12 Player of the Week award he earned last week by extending his five-game hitting and RBI streak and going 6 for 11 from the plate. Along with Davis, sophomore Jared Horn and junior Aaron Shortridge continued their dynamic one-two combo as the pair pitched a gem to secure another victory. In the first game of the tournament against a quality Baylor program, the Bears turned to Horn to take the mound. The sophomore picked up right where he left off against Cal State Bakersfield by retiring the first eight batters that he faced in order. The Baylor offense would finally get some traction against Horn in the fourth inning after an RBI single by junior Cole Haring that scored sophomore Davis Wendzel. Baylor would scratch one more run across in the fifth frame after two leadoff walks. After a critical double play, Horn conceded a single to left center by sophomore Shea Langeliers, which would score senior Tucker Cascadden. This would be the only offense the Baylor Bears could manage, as Shortridge would shut down the opposition over four innings to earn his second save of the season. The Cal offense got to Baylor’s sophomore starter Cody Bradford in the second inning by posting a five hole and never looked back. After a one-out walk by Davis, sophomore catcher Korey Lee doubled to left center to bring the speedy Davis home. Sophomore Cameron Eden would drive home Lee to extend the lead. The Bears would tack on three more runs in what proved to be the match- defining inning. Cal added a run in the sixth and eight innings to help extend their lead. In the end, the Bears rolled to an 8-2 victory. The next affair proved more difficult as Cal took on a strong Louisiana Tech team. The Bears managed to get on the board first in the second inning behind a solo homerun by Davis. However, in the fourth, the junior from Danville, California, ran into trouble after two one-out walks. Matulovich would retire the next batter, but the Bulldogs would go on a two-out rally to chase the pitcher out of the fourth. Senior Zayne Patino provided relief but walked two batters with the bases loaded to drive in two more runs, extending the Louisiana Tech lead to 4-1. 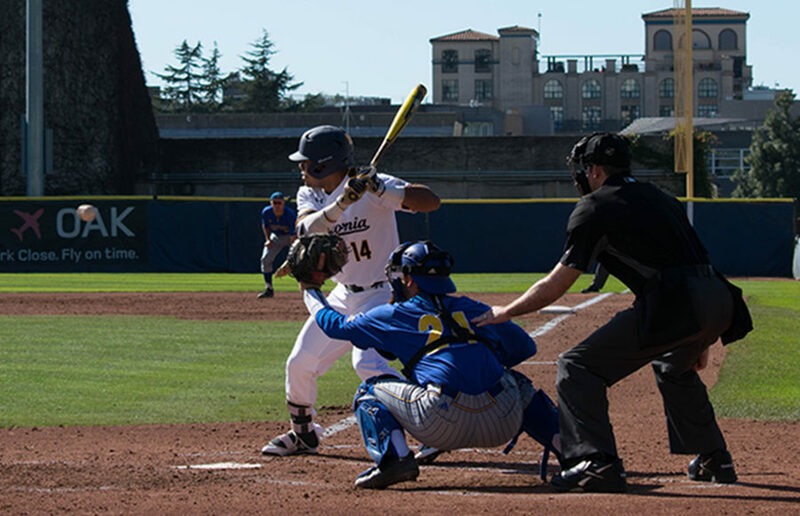 Cal would respond in the bottom half of the fourth and fifth innings after clutch doubles by sophomore Andrew Vaughn and Davis which tied the ballgame at five apiece. In the top half of the sixth, however, the Bulldogs would score four more runs behind a timely three-run bomb by junior Tanner Huddleston. They would go on to add one more run in the eighth inning to secure the victory, 10-5. The last game of the series was a rematch of a memorable NCAA regional contest against Texas A&M. Cal opened the scoring in the second inning when Davis homered to left center driving home junior Tanner Dodson. However, that was all that Aggie junior Mitchell Kilkenny would yield over seven strong innings. Kilkennny gave up seven hits and struck out seven in the process to improve to 3-0 for the season. Senior Matt Ladrech struggled in his third outing, only throwing 2.1 innings. He surrendered five runs on eight hits. The Aggies were led by sophomore Braden Shewmake who went 3 for 5 from the plate with one run and two RBI. Cal did receive some consolation in the top of the ninth when freshman Sam Wezniak homered to left field, scoring 3 runs. In the end, the Aggies comfortably won 9-5. Overall, the Frisco Classic helped elucidate some of Cal’s strengths and weaknesses. If the Bears can tighten up their pitching, they should be in prime position to surprise many teams with their dynamic offense. Next up, the team will get ready for a midweek matchup against Xavier.